Arthur, it seems, is claimed as king of nearly every post-Roman Celtic kingdom known. The sixth century certainly saw many men named Arthur born into the Celtic royal families of Britain but, despite attempts to identify the great man himself amongst them, there can be little doubt that most of these people were only named in his honour. Princes with other names are also sometimes identified with 'Arthwyr' which is thought by some to be a title that's similar to Vortigern. Geoffrey of Monmouth recorded Arthur as a high king of Britain. 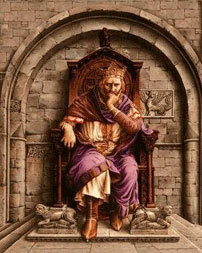 He was the son of his predecessor, Uther Pendragon, and nephew of King Ambrosius. So-called High King Eudaf Hen of the Roman empire period in Britain had a nephew named Conan Meriadoc. Arthur's grandfather, Ambrosius the Elder, had crossed the Channel from Armorica (modern Brittany) and established the dynasty in Caer Glou at the beginning of the fifth century. The Breton King Aldrien had been asked to rescue Britain from the turmoil in which it found itself after the Roman administration had been expelled in AD 409 (Aldrien was actually on the Breton throne in 446-464, so for Aldrien, it's likely that Erbin should be read instead). He sent his brother, Constantine, to help. This Constantine appears to have been the historical self-proclaimed British Emperor Constantine III who took the last Roman troops from Britain in a vain attempt to assert his claims on the continent in AD 407. Chronologically speaking, although the timeline seems a little muddled, it is just possible he was Arthur's grandfather. Arthur's Breton ancestry was recorded by Gallet. Geoffrey Ashe argues that Arthur was an historical king in Brittany known to history as Riothamus, a title meaning 'supreme king' (see the Britain and Armorica timelines around 468-469). His army is recorded as having crossed the Channel to fight the Visigoths in the Loire Valley in 468. Betrayed by the prefect of Gaul, he later disappeared from history. Ashe does not discuss Riothamus' ancestry but he, in fact, appears quite prominently in the pedigree of the kings of Domnonée, despite attempts to equate him with a prince of Cornouaille named Iaun Reith. 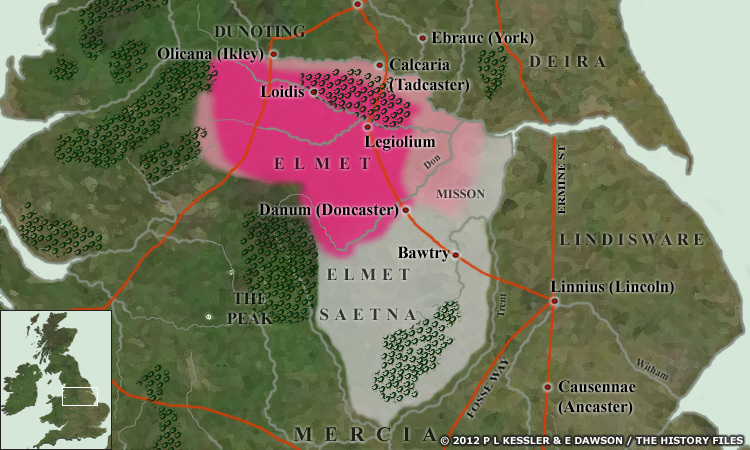 Riothamus was probably exiled to Britain during one of the many civil wars that plagued Armorica. He later returned in triumph to reclaim his inheritance, but was afterwards killed in an attempt to expel Germanic invaders. Some may see a problem with this Arthurian identification as it appears to push Arthur back fifty years from his traditional period at the beginning of the sixth century (see Ashe, 1985), but it is much more likely that Arthur's heyday falls between the 470-500 period. Welsh tradition also sees Arthur as high king of Britain but tends to follow the genealogies laid down in the Mostyn MS117 and the Bonedd yr Arwr. These show Arthur as grandson of Constantine but, this time, he is Constantine Corneu, king of Dumnonia. Traditional Arthurian legend records three kings of Dumnonia during Arthur's reign: Constantine's son, Erbin; his grandson, Gereint; and his great-grandson, Cado. Nowhere is there any indication that these three were closely related to Arthur, nor that he had any claim on the Dumnonian kingdom. Nor is their any explanation of why a Dumnonian prince would have been raised to the high-kingship of Britain. 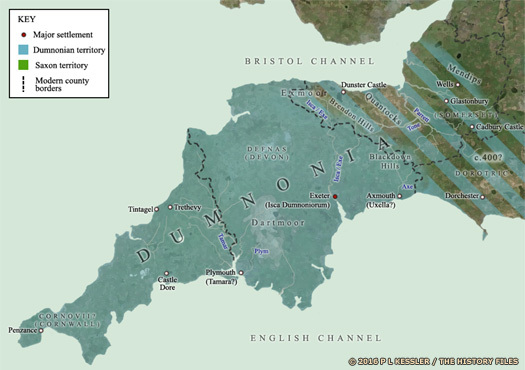 Arthur's connection with this area of Britain is purely due to his supposedly being conceived at Tintagel, the residence of his mother's first husband, and being buried at Glastonbury, the most ancient Christian site in the country. The Scots Clan Campbell trace their tribal pedigree back to one Arthur ic Uibar: the Arthur son of Uther of tradition. Norma Lorre Goodrich uses this fact to argue that Arthur was a 'Man of the North'. This idea was first proposed by the Victorian antiquary, W F Skene, and there is some evidence to recommend it, especially the possible northern location of Nennius' twelve battles (see sidebar link). Goodrich places Arthur's court at Carlisle. As the capital of the northern British kingdom of Rheged, this seems an unlikely home for Arthur, who was not of this dynasty and was fighting an enemy that, by and large, was not threatening the north. Professor Goodrich relies heavily on late medieval literary sources and draws imaginative conclusions (see Goodrich 1986 & Skene 1868). However, there remains support for the idea of a northern Arthur. There was a northern British King named Arthwys ap Mor who lived in the generation previous to Arthur's traditionally-accepted time. He was of the line of Coel Hen (the Old) and probably ruled over a large kingdom in the Pennines. Many of Nennius' Arthurian battles are often said to have taken place in northern Britain. These and other northern stories that are associated with Arthur may, in reality, have been relating the achievements of this near contemporary monarch. Another northern British Arthwys was the son of Masgwid Gloff, probably a ruler (magistrate - a Roman rank which effectively became that of king to the post-Roman Britons) of the Elmet region of modern West Yorkshire (see sidebar links). Nothing is known of this prince who was exactly contemporary with the real king's traditional period of rule. Although it is unlikely that he held his own kingdom - he may have been a sub-ruler at best - his exploits may have contributed to Arthur's story. There is also the possibility, proposed by August Hunt in his downloadable book The Road from Avalon [no longer available, but see The True Avalon, via sidebar links], that the story of Arthur developed from King Cerdic, founder of the Saxon dynasty of Wessex. The name Cerdic is Celtic, not Germanic. Cerdic's pedigree has no independent authority. It has been put together from that of the Bernician kings and his real ancestry is unknown. He evidently could not claim descent from any Germanic family of importance. This seems to strengthen the possibility of him having position and/or power within Romano-British society. Even the Anglo-Saxon Chronicle describes him and his 'son', Cynric, as ealdormen, a term normally used in ninth century England for someone who was a prominent official having authority, both civil and military, over a specific territory forming part of a kingdom. 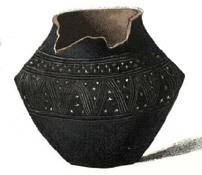 One idea is that Cerdic may be equated with Ceredig son of Cunedda Wledig of Venedotia. Arthur's battles as recorded by Nennius may be identified with Cerdic's battles in the Anglo-Saxon Chronicle, albeit the case that the geography for Cerdic's battles was much more limited. August Hunt, as a second alternative, suggests that Arthur was really Cadwaladr ap Meirchion of Meirionnydd. His name translates as 'Battle Leader', exactly identical to Nennius' description of Arthur as Dux Bellorum; while one probable location for Arthur's death at the Battle of Camlann is the Camlan Valley on the border of Meirionnydd and Powys. The Scotti, although they were fresh from Ireland, also used the name Arthur for a royal prince. Artur, the son of King Aidan of Dalriada (574-607), was probably born in the 550s - over half a century too late for 'the' Arthur. David F Carroll argued that this man was the real Arthur, ruling Manau Gododdin from Camelon (alias Camelot) in Stirlingshire. Details could formerly be found on the author's website (Carroll 1996), now defunct. 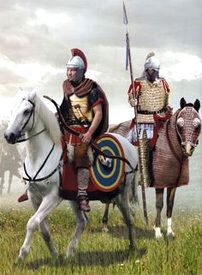 Graham Phillips and Martin Keatman identify Arthur as Owain Ddantwyn (White-Tooth), a late fifth century prince of the House of Cunedda (more specifically of Venedotia - Gwynedd). Their arguments, however, are wholly unconvincing, and contain many unresolved discrepancies. Owain's son, Cuneglasus (known from Welsh pedigrees as Cynlas) was among the five Celtic kings condemned in the writings of Gildas (see sidebar link). Through a misinterpretation of this account, Keatman and Phillips imply that Cuneglasus was the son of one Arth, ie Arthur. They further claim that he, and therefore his father before him, Owain, must have ruled Powys as this is the only kingdom that remains un-reconciled with Gildas' kings. However, Cynlas lived at Din Arth in Rhôs. He was not the son of Arth. In traditional Celtic manner the kingdom of Venedotia/Gwynedd had been divided between his father, Owain, who received eastern Gwynedd (ie. Rhos), and his uncle, Cadwallon Lawhir (Long-Hand) who took the major western portion. During this period, Cyngen Glodrydd (the Renowned) was ruling Powys (see Phillips & Keatman 1992). This theory only breaks down with the Powys contention. It can be suggested that the above is all quite acceptable with the following amendment: Owain ruled Rhôs, not Powys, although in truth there may well have been annexations of parts of Powys during his reign. Owain succeeded to the greater part of Gwynedd on the death of his brother, Cadwallon. Within a couple of years of his accession, Cadwallon's son, Maelgwn (Mordred?) rose up and, with the possible collusion of Owain's son – Cuneglasus – seized the kingdom, killing his uncle at the battle of Camlann. Cuneglasus received his inheritance – Rhôs – as a reward from a grateful Maelgwn, his cousin. A much simpler and thoroughly more convincing thesis from Mark Devere Davies suggests that Arthur may have been Cuneglasus of Rhôs himself. If the author's original work can be found, it is recommended that this be studied for further details. A King Arthwyr ruled in Dyfed in the late sixth century. He was the son of King Pedr ap Cyngar, but little else is known of him. Although it is probable that he was merely named after the great man, it is possible that some of his accomplishments may have become attached to the traditional legend. Baram Blackett and Alan Wilson have theorised that the legendary King Arthur was an amalgam of two historical characters: Anwn of Dyfed (alias Arthun), the British king who supposedly conquered Greece; and Athrwys (alias Athrwys ap Meurig) the king of Gwent and Glywyssing. Arthun was a son of British Emperor Magnus Maximus (see sidebar link), who lived in the late fourth century. He is better known as Anwn (alias Dynod) and his title 'King of Greece' is generally thought to be a misreading of his Latin name, Antonius Gregorius. He actually ruled much of south Wales. Athrwys of Glwyssing and Gwent is widely accepted as being a seventh century king who lived in south-east Wales. 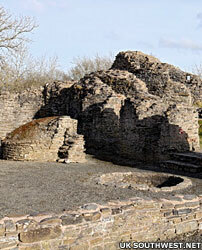 His home in the traditional Arthurian region around Caerleon is part of this man's attraction. Blackett and Wilson argue, not unconvincingly, that he really lived in the early sixth century and that his father, Meurig, was called 'Uther Pendragon', a title meaning 'wonderful commander'. They also make the important assertion that Arthur lived not in Cerniw (ie Cornwall) but in Cernyw (ie Glywyssing) (see Blackett and Wilson, 1980). Like Blackett and Wilson, Chris Barber and David Pykitt identify Arthur with King Athrwys of Gwent and Glywyssing. However, here the similarity stops, for there are important differences in the identification of people, places, and events. Their major addition is the supposition that after Camlann, Arthur/Athrwys abdicated and retired to Brittany where he became an important evangeliser. He was known as St Armel (or Arthmael) and his shrine can still be seen at St Armel-des-Boschaux. Their ideas have much to commend them and make compelling reading (see Barber & Pykitt, 1993). It has been suggested, many times over the years, that Arthur may have been a descendant of one Lucius Artorius Castus. 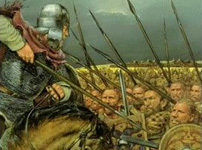 He was an historical second century Dalmatian general who was stationed in Britain and who commanded the Roman auxiliary troops, known as Sarmatians, on an expedition to crush an uprising in Armorica. It is highly unlikely that the two had any connection with each other.